The big money in the Internet of things is on the industrial side. This is where multi-billion dollar industries such as oil and gas or pharmaceuticals are connecting sensors to the internet or proprietary networks and applying advanced machine learning to improve their operations. After years of investing in the smart home, venture investors and incubators are all on board with industrial companies. The most successful of these industrial IoT startups tend to have a focus on software that grabs data from a variety of machines and tries to analyze it on premise, as opposed to the cloud. They also handle the analysis with proprietary algorithms specific to the industry they serve. The first generation of these startups focused more on the physical connections and even data normalization, but now the efforts are around analyzing the right data to produce quick insights. These startups also tend to be extremely focused on one or two industries, which is what gives them the edge when selling their software and when building their algorithms. Flutura Decision Sciences and Analytics is one of these industrial startups, which recently raised $7.5 million from Vertex Ventures and The Hive. The five-year-old Bengaluru, India-based startup tracks the physical data from the industrial equipment manufacturers’ and then uses that data to build predictive algorithms about how something as mundane as a pump will behave over time. By using real-time data from the device manufacturers as well as data gleaned during the device’s operation it says it has created more accurate algorithms. For example, if a pump can handle 2 million gallons per hour according to its manufacturing specs, but in operation is seeing 2.5 million gallons an hour for part of the day, that may change the equations when predicting when and how that pump might fail. Flutura’s Cerebra software does this in gateways inside the factory and also has an element that can run on true edge nodes like clusters of sensors. Its competitors include companies like GE’s Predix and PTC. However, it’s possible that some of these competitors may one day become customers given how much Flutura focuses on gathering the mechanical data for all of the equipment used in the oil and gas industries. That’s data that GE, which makes competitive equipment, can have trouble getting. Flutura already has several notable partnerships in its industry including Siemens, Haliburton and Bosch. 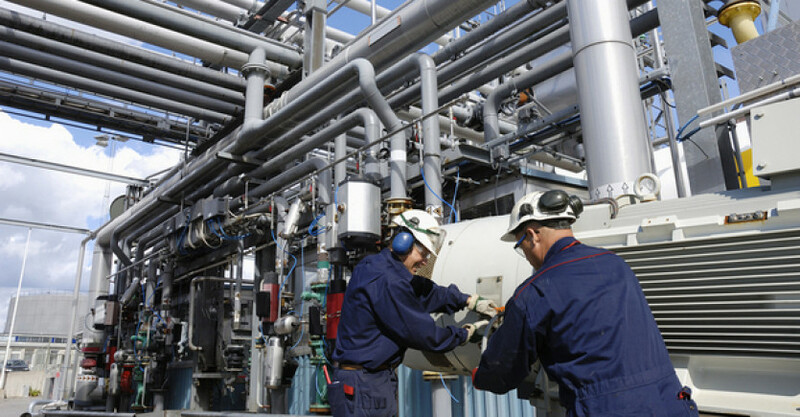 Honeywell’s UOP division, which licenses IP to oil refineries and other process manufacturing companies, is also a partner even as Honeywell is trying to create a similar effort in its process manufacturing group to combine performance data with the underlying mechanical data from partner companies such as Flowserve. Current customers include Stewart and Stevenson, Hitachi and GTT. Rick Harlow, an executive vice president at Flutura, says that the company used to have some challenges convincing industrial giants to work with a small startup, but as more big names in the industry joined its board and after it raised a round of funding in February things got easier. Other startups that seek to capitalize on their expertise in IT and data analytics for old-line industries should keep that in mind. Pack your board with reputable names and try to raise enough to get your customers comfortable enough to trust multi-billion operations to your software.